Baseball Archives - Travel with Teri B. Baseball — specifically visiting new parks — is the ONLY reason to go to Atlanta & Miami in June, at least for me and the hubby who are humidity adverse to say the least. But one must go when one can, and this relatively short jaunt fit our calendar. In addition to exploring local cuisine, we saw some family and friends. It is an understatement that I wasn’t always a baseball fan. Upon committing to the hubby — your basic lifelong worshiper of the game — I resisted for the first few years. But then the 1988 World Series happened. 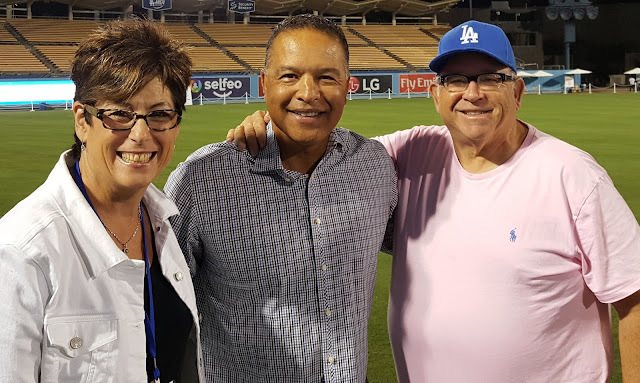 I was not there for the famous Gibson walk-off, but the hubby was. Fortunately at the time I didn’t know what I didn’t know; and, by the time I did, it was too late to feel bad about missing that historic home run. Not that I have been deprived, mind you. I witnessed the heyday of Bruin basketball, led by the Wizard of Westwood, and attended every game. I was at every home Lakers game my senior year of high school. I was at the Jerry West 63-foot shot. I went to Rams games and the 1984 Olympics. In short, I was a raised as a lover of sports. Just never baseball. that are out of the sun. 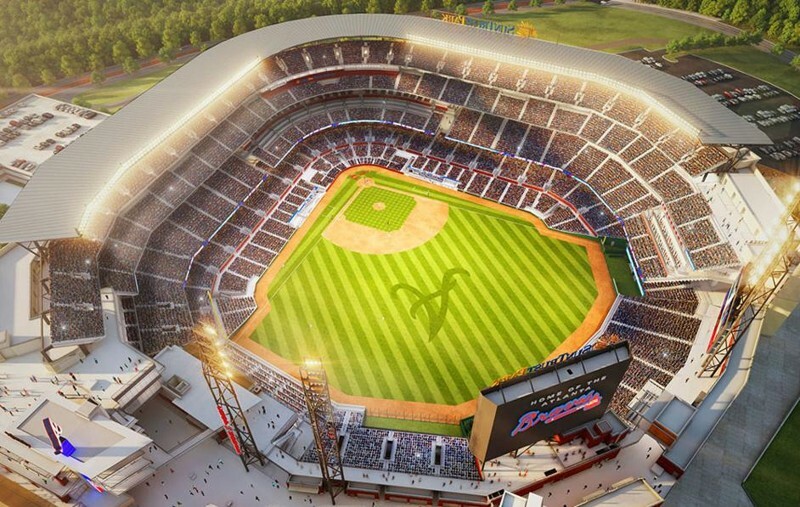 First up was Atlanta’s brand new Sun Trust Park, located in the suburb of Marietta, in it’s inaugural season. 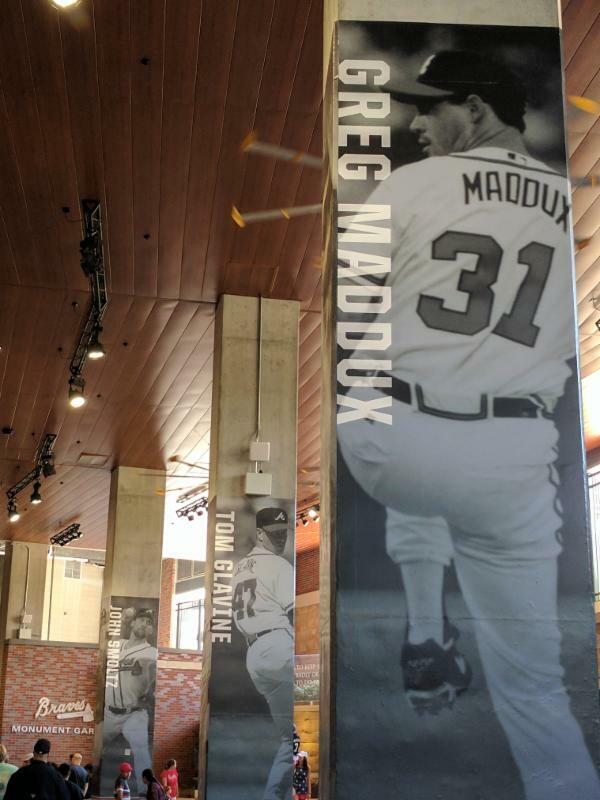 No one could provide an answer as to why Turner Field was shuttered after just 20 years (it will now be the home of Georgia State football), but the new stadium “hits it out of the park” for many reasons. It is easy to get to, particularly via Uber. 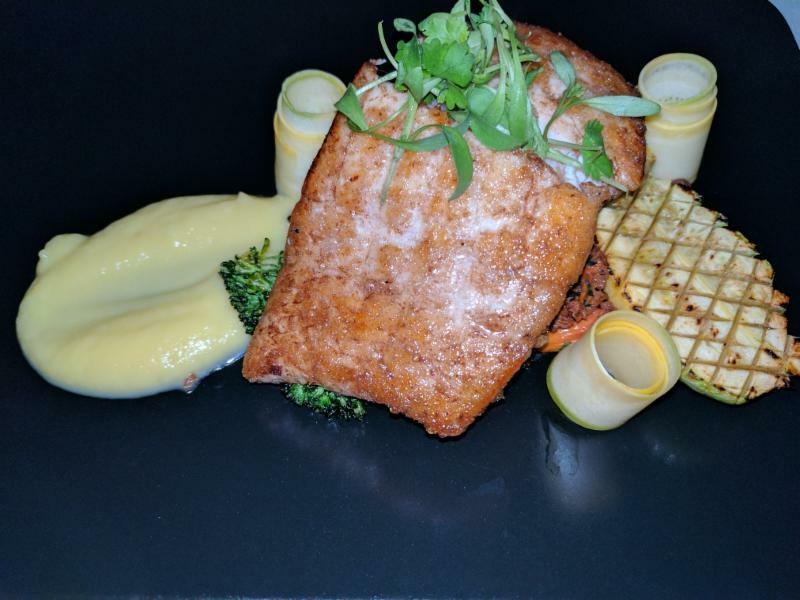 The food choices are really pretty vast, and delicious. The scoreboard is incredible. And there are sunscreen stations liberally located throughout the park, a nice touch considering there is no roof. 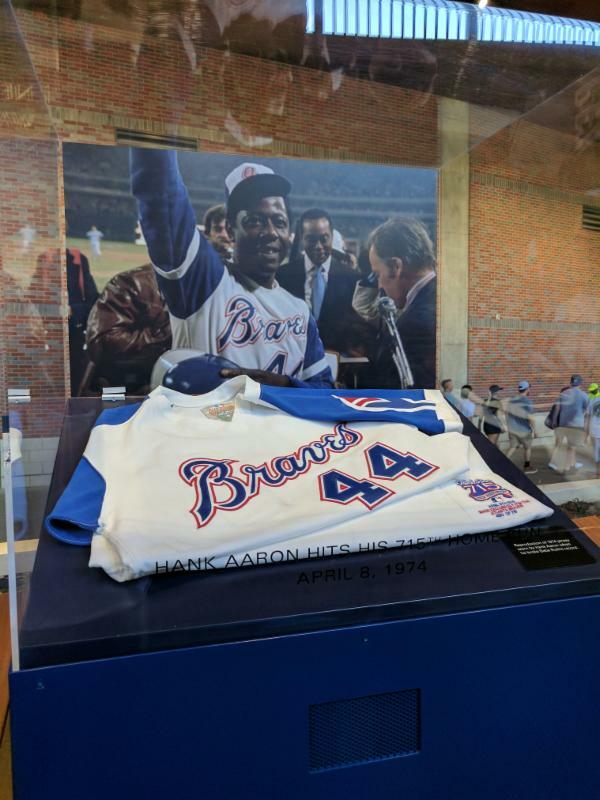 We particularly enjoyed their ode to years past with tons of memorabilia, an appropriate tribute to Hammerin’ Hank Aaron, etc. This is a storied franchise and the longest by years running in baseball history. Now, if only they would get rid of the annoying Tomahawk Chop, all would be well. 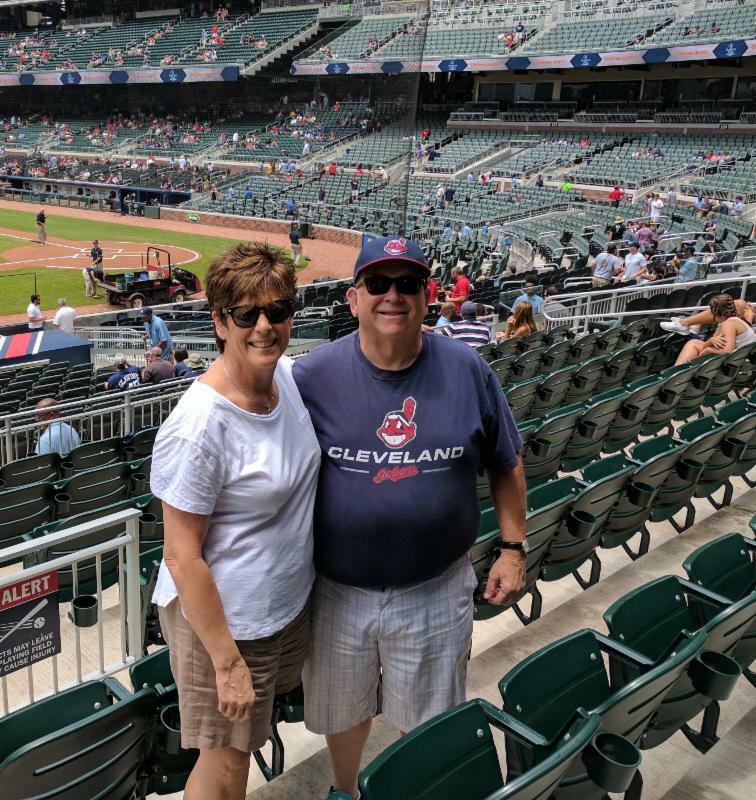 The game wasn’t interesting — the Braves got clobbered by the Brewers — but we encountered many who were there for the same reasons as we were, to see what the Park is all about. 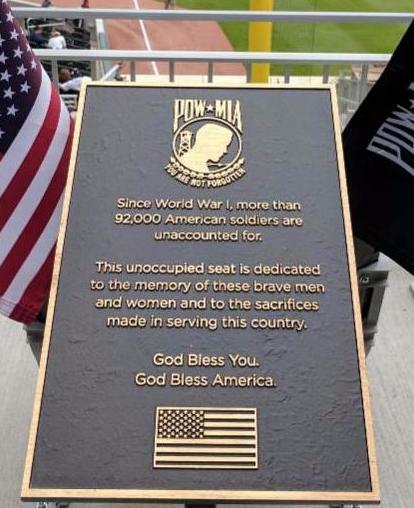 Beautiful sentiment by the Braves, leaving a seat always unoccupied. 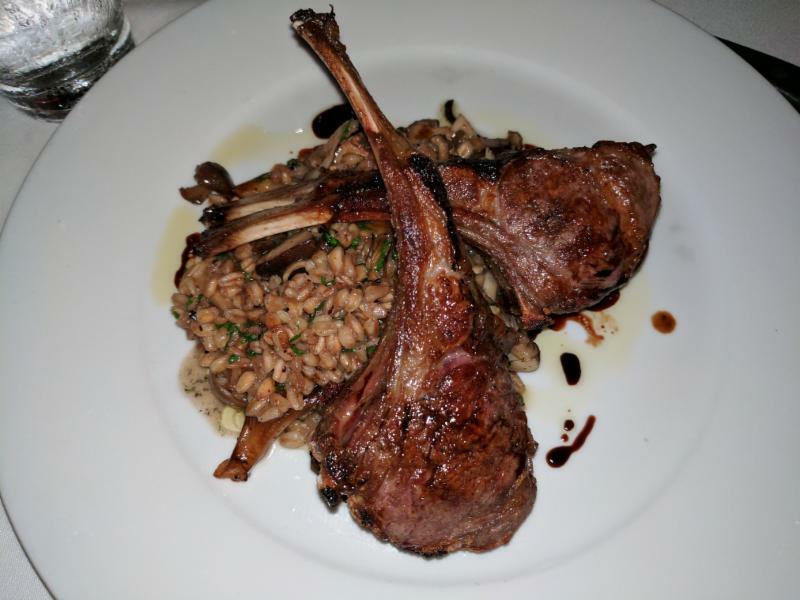 While in Atlanta, we had a terrific meal at Rathbun’s, one of four restaurants from local premier chef Kevin Rathbun. And I highly recommend the downtown Ritz Carlton where we got a terrific weekend rate. By the way, the decision to rely on Uber instead of renting a car was a savings — not just on the rental itself, but not needing hotel parking which can be pricey. 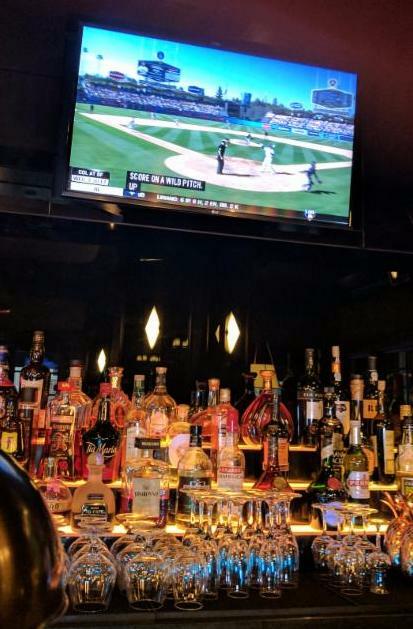 Sunday night baseball at the hotel bar — the Dodgers come from behind to win! 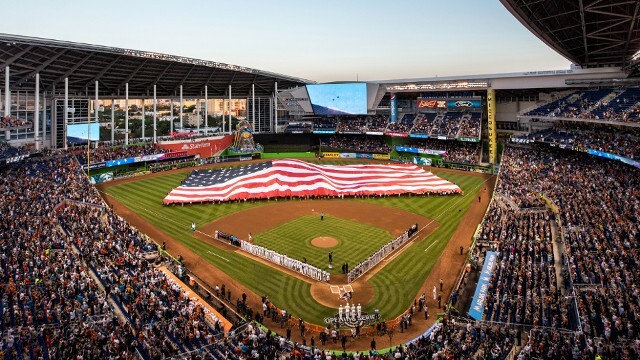 Miami was the next stop — flying in and out of Fort Lauderdale — for our first visit to Marlins Park, opened in 2012. I rarely fly Delta, but I must say I was impressed with how well both their hub and flight were operated. Ft. Lauderdale was quite central to seeing friends in Boca (loved Abe & Louie’s), Delray Beach and provided excellent access to the I-95. 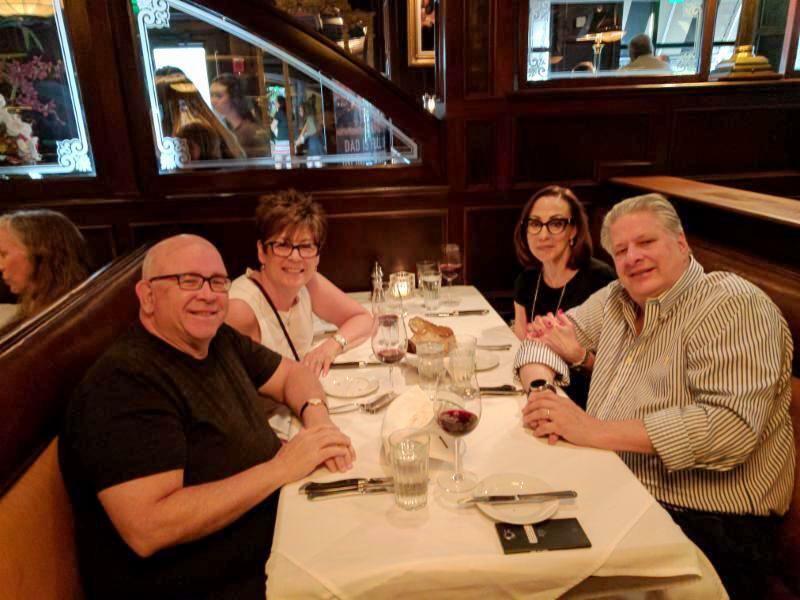 Lunch with Mark Zeidman above and dinner (right) with Stephanie & Ned Siegel, all friends from Boca. Marlins Park to me was unremarkable. The best thing about it? Nobody goes to the games so great seats are always available! And the parking structures provide a short walk, so that’s a good thing. 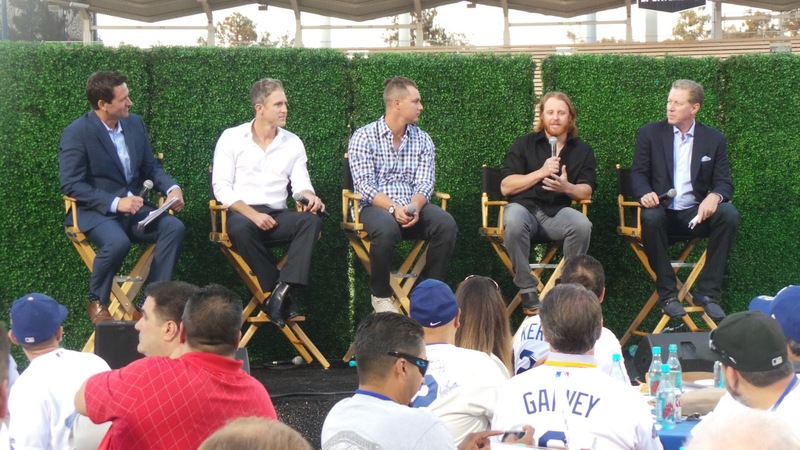 It’s a shame more people don’t attend, considering the team has a good roster … but so far, this year is all about the Boys in Blue, aka our beloved Dodgers, who just keep winnin’ games. This is too much fun! 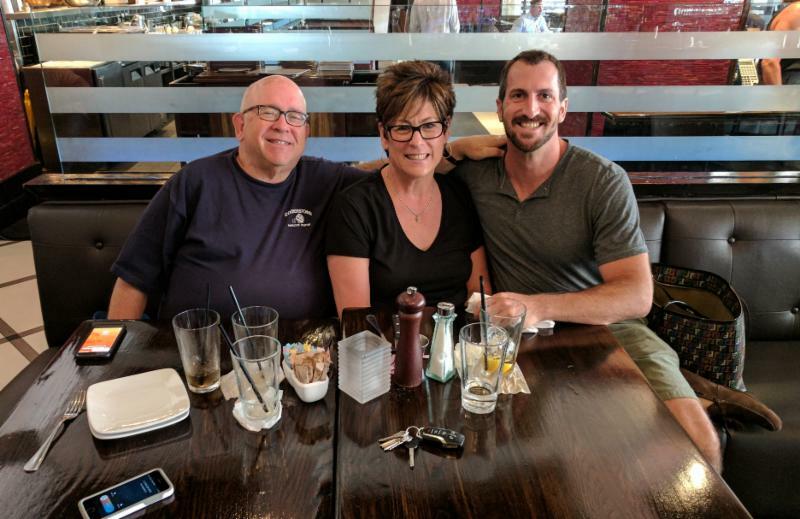 Left, with Uncle Mike & Shelley Stone, who live in Boynton Beach. 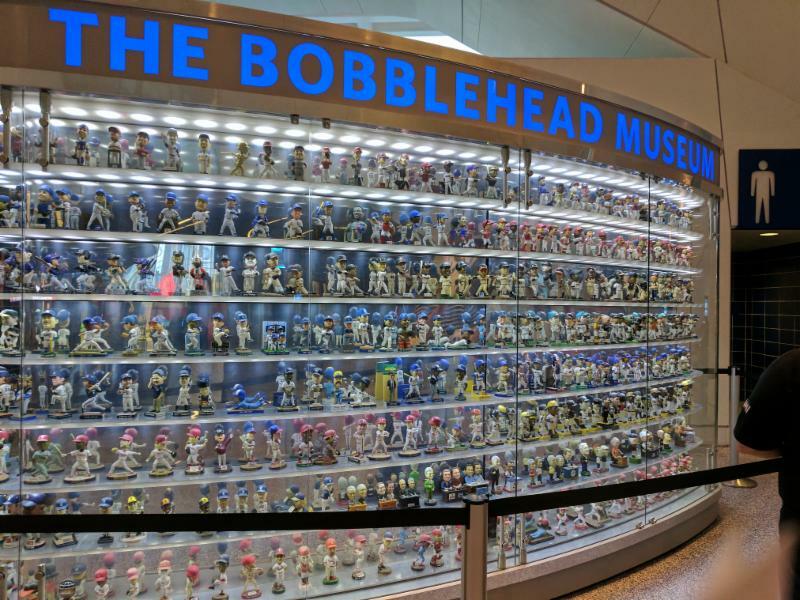 Below, probably the best feature of Marlins Park is the Bobblehead Museum, where players, announcers and others in MLB are featured in a rotating (slightly shaking) display. For the flight home, I was able to try Jet Blue Mint — their premium seats — and justified the expense because of our 7 a.m. departure. Another home run! 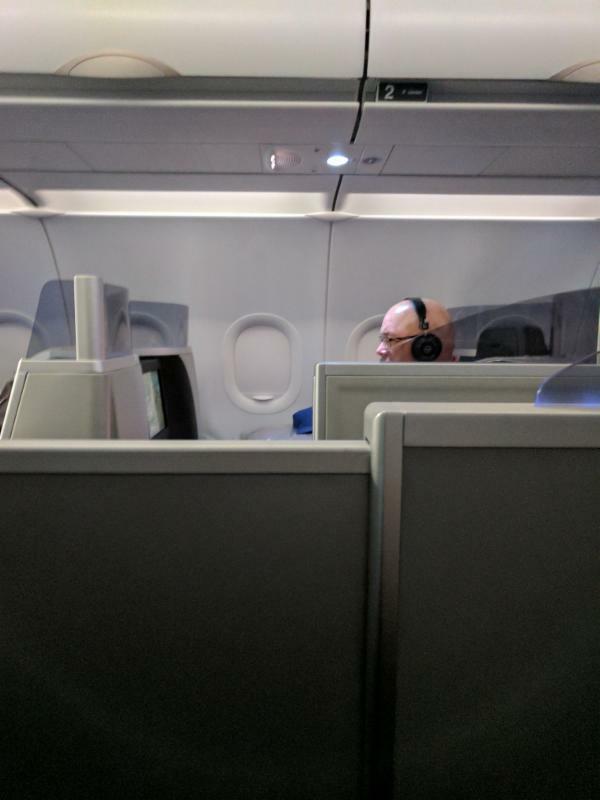 I scored two cubbies — a single “compartment” on either side of the aisle, with a truly fully-flat seat and lots of other fun amenities. My one complaint was the location of the headphone jack which required a contortionist to operate. Small concession; it was otherwise a terrific experience. The hubby settles in on the opposite side of the aisle, and my compartment. Loved it! When a “bestie” recently moved back to her hometown (Louisville), I told the hubby I wanted to plan a trip there for this year. 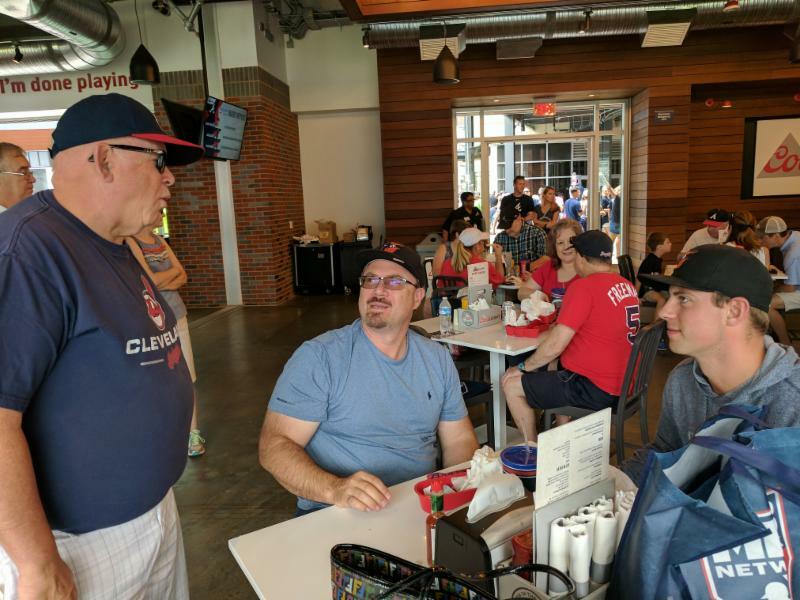 Lest he think that what he likes to do wasn’t part of the equation, I suggested we go to Cincinnati and possibly even Cleveland for baseball (I have not been to either of their current parks). While that itinerary may still occur, he insisted we go first to two other ballparks not yet visited — Atlanta (inaugural season) and Miami (opened 2012). Jumping right on the planning bandwagon is such a delicious treat that I almost can’t do anything else until mission accomplished! The thrill of planning travel — scoring a room at the Ritz Carlton (with Amex Platinum benefits) for $199? It is a high for me. 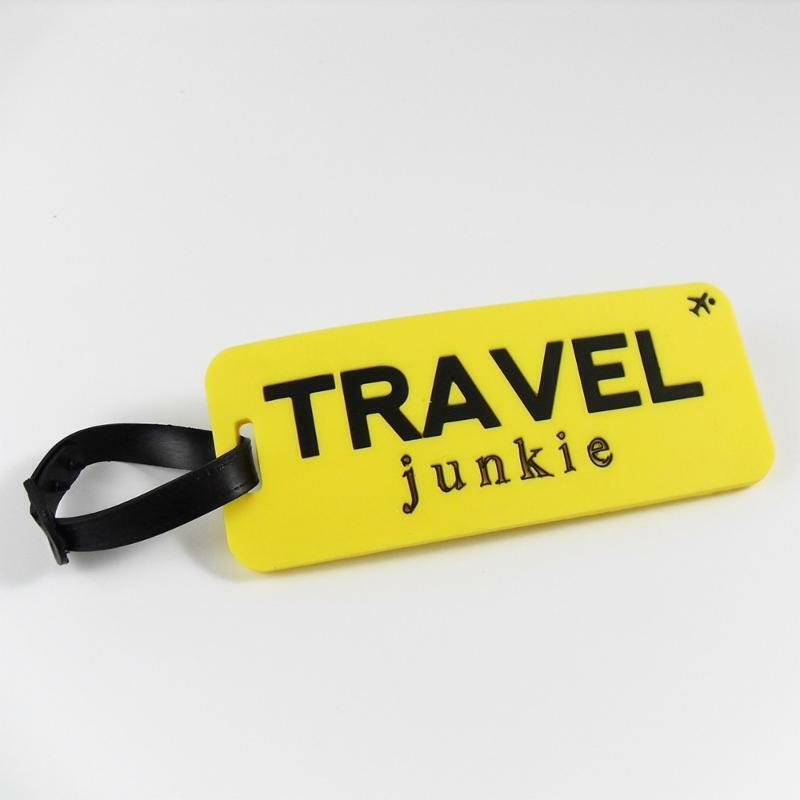 I guess that officially makes me a travel junkie. And if I were to compare the benefits derived from this fun compared to say online shopping of a different kind — clothing, as an example — well, that’s a tough one. I suppose the lasting memories of travel make this particular endeavor more meaningful (and I don’t have to explain the credit card charge — an added bonus for sure). Looking at the calendar in terms of when to go involves: 1) tax filing deadlines; 2) Atlanta and Miami home stands; and, 3) avoiding summer’s most oppressive temperatures. 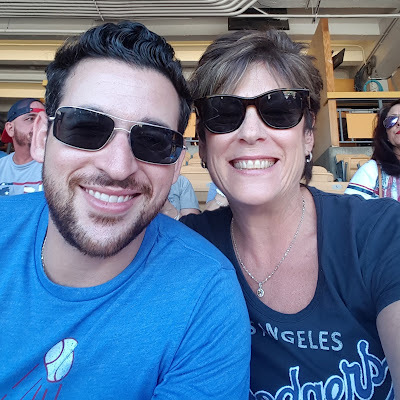 Oh, and our own Dodger games, Hollywood Bowl tickets, etc., etc. In other words, the window isn’t always expansive. Late June fit the above criteria and it was on to the execution. 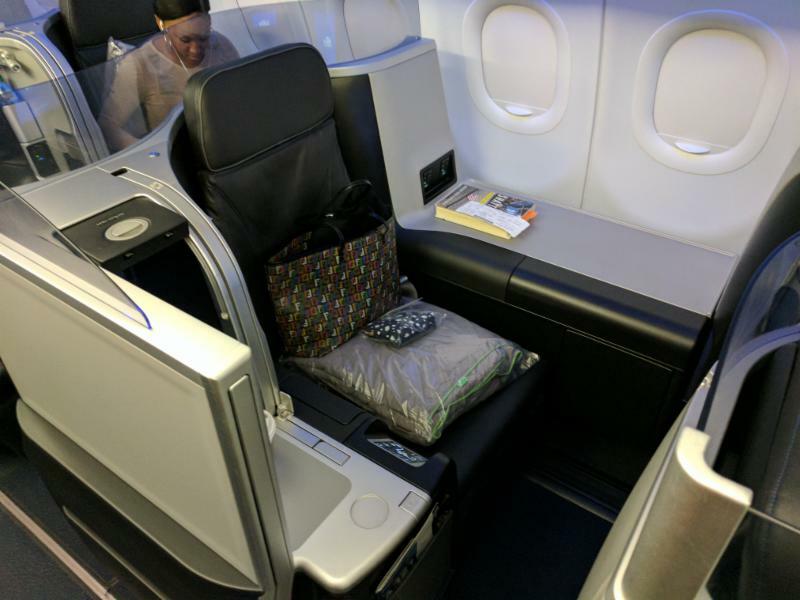 If money were no object, I’d simply book American Airlines first class (business and first are typically combined domestically). Alas, that’s not the case. So coach it is, paying a bit extra for maximum legroom, and putting in requests for upgrades. Since going east is the shorter flight, these parameters seem fine. We earn AA miles, and the tickets were quite reasonable. For the other two legs, instead of flying into nutty Miami, I booked Fort Lauderdale — a much more civilized airport with lots of flights and just 30 miles north of Miami. We’ll have a car so off we go. Atlanta-Ft. L is less than two hours and Delta is the best bet: one way for about $100. Done. 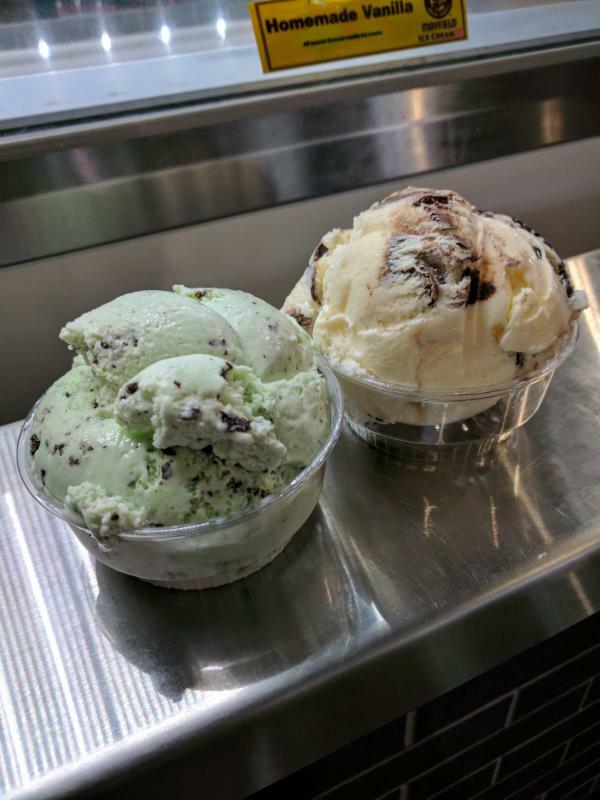 The splurge is the flight back to LA. Non-stop flights via Jet Blue and Virgin leave either early morning or evening. I don’t love a 7:15 a.m. departure time (but I do like being back in LA by 10 a.m.), so I splurged on Jet Blue Mint — their equivalence of first class — which I have wanted to try. It is considerably less $$ than American’s seats and who doesn’t love Jet Blue? I’ll let you know my thoughts afterward. Besides the aforementioned Ritz Carlton in Atlanta, I booked a Westin in FtL (close to the airport): a generously-sized suite, including wi-fi and breakfast, for $189 per night via AAA rate. I like the Westin brand plus I earn SPG points. With rental cars booked (via Amex), this whole process took just a couple of hours. And it was so much fun! What’s the moral of the story? Practice, practice, practice. Look at travel planning as something fun to do, not as a chore. Because a job well done equates to time well spent. Better yet, call me to map out your trip and go do something else with your time! Monday, Oct 11 — Game #3 — 2pm game time! No worries; we all have smartphones so as to work and watch at the same time. Dodgers lose; back for Game 4 in the series the next day. Tuesday, Oct 12 — Game #4 — 2pm game time again. Normally fine, except sundown is Kol Nidre, which begins the the most sacred Jewish holiday of Yom Kippur for the next 24 hours. The game goes long, necessitating an early departure (well, for some of us). Alas, we made it to synagogue and observed the holiday. By the way, the Dodgers won! 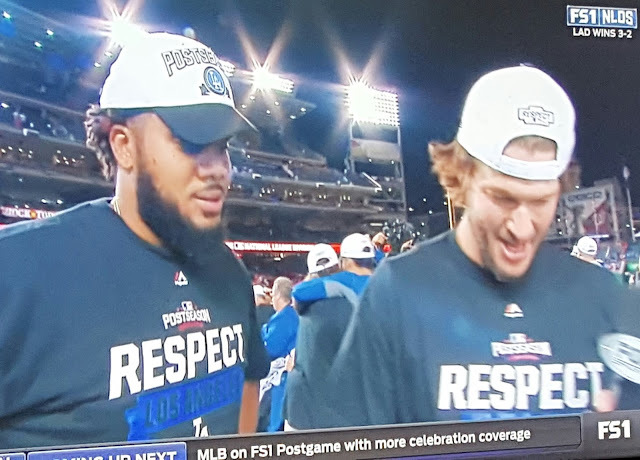 got the job done with outstanding pitching! After splitting the first two games of the NLCS in Chicago, the series moves back to LA for the next three. 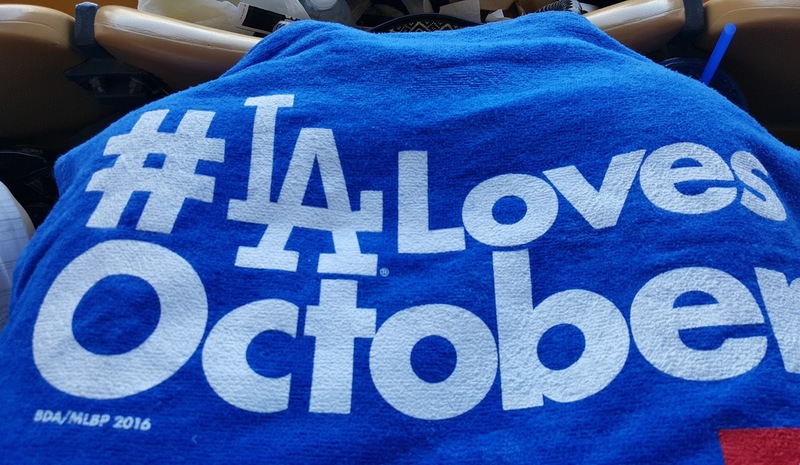 Tuesday, Oct. 18 — Dodgers win 6-0; Wed, Oct 19 — we get slaughtered 10-2; and Thurs, Oct 19 — again defeated 8-4. All told during those two weeks in October, with travel time to and from the stadium, I figure it was roughly 35 hours dedicated to the Dodgers. And it was a blast. Thirty-five hours. An entire work week for some. About 17 movies. Five nights of sleep. Yes, a big time commitment. And, you know what? 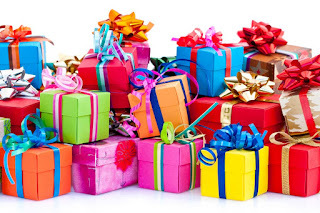 We all clamored for a bunch more. By now, you all know the outcome. Game 6 at Wrigley was a disaster and MLB got it’s hoped-for World Series wish — the Chicago Cubs vs. the Cleveland Indians. I’ll close with just two words: #GoTribe! How can you not love the two opposing managers showing immense respect? 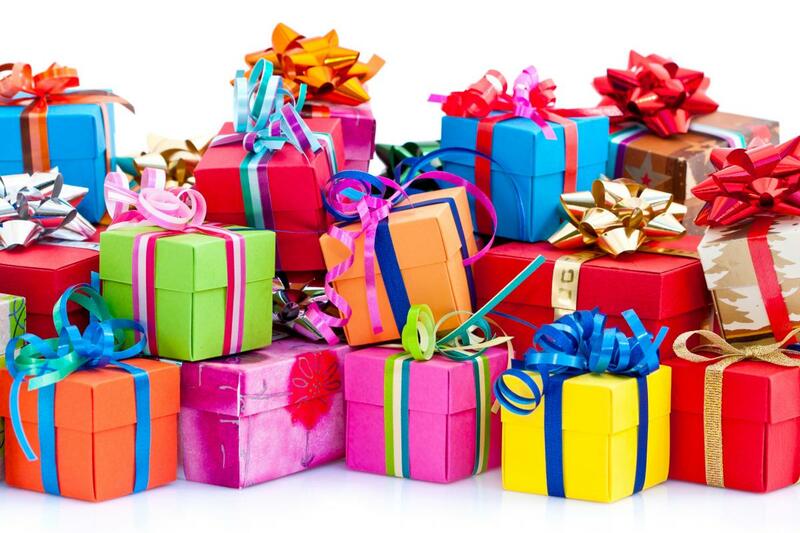 When it comes to buying the hubby gifts, he is a tough one to crack … unlike the other person in this marriage (moi), he has little interest in things that sparkle or any material “stuff” for that matter. 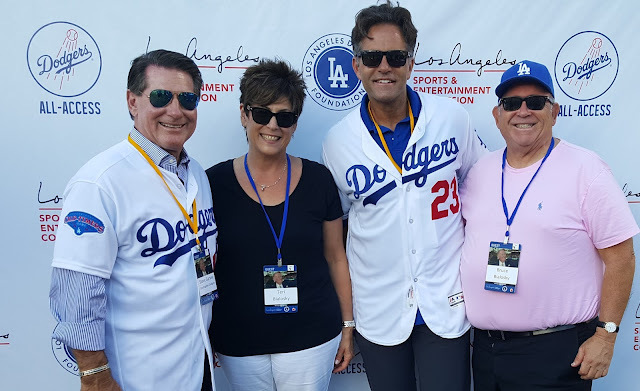 His indulgences are great travel, major sporting events – particularly when one of his teams is involved – and concerts. 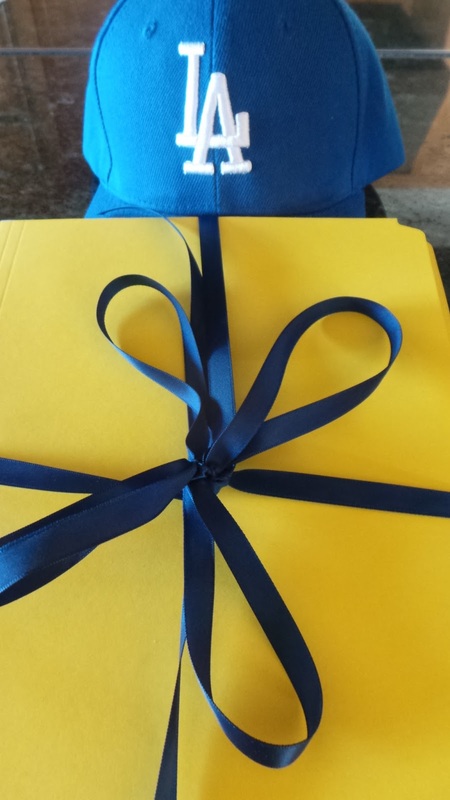 So as the 30th anniversary approached, I was stuck for a gift … especially one that would be a surprise. New volumes of the 25th anniversary gift — bound books containing his weekly columns — would likely be well received again but to me would lack imagination. I tried numerous angles to get a surprise guest to show up at our upcoming anniversary party, but to no avail. 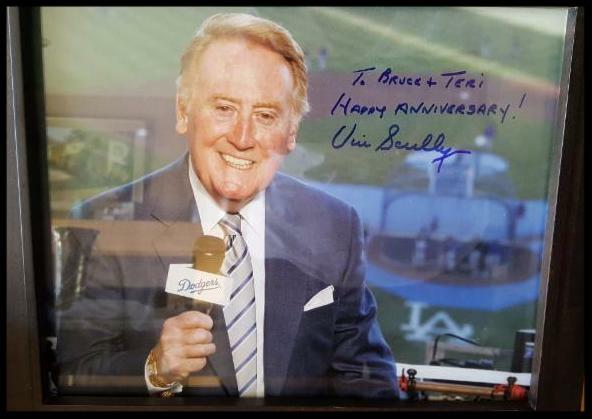 Vin Scully was for sure a no (but part of a fabulous gift below). I felt funny asking our longtime neighbor (Steve Lukather, well-known guitarist and founding member of Toto) to facilitate Ringo Starr as Steve tours with Ringo. But I’m thinking Steve’s response would no doubt have been “What am I, chopped liver?” So that was a pass. 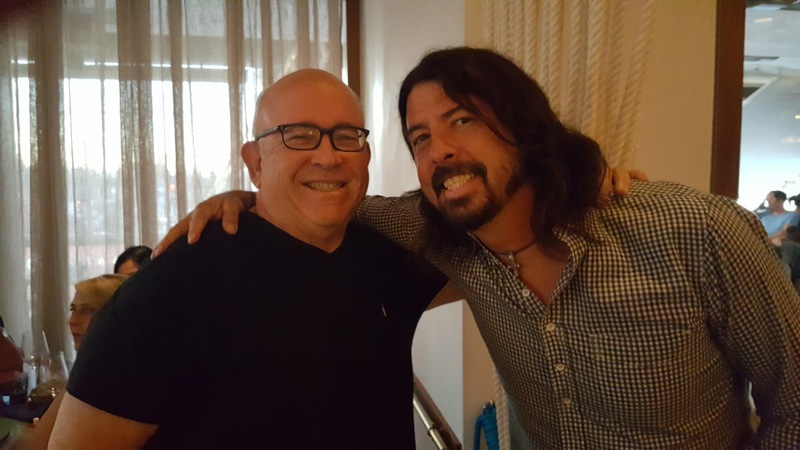 I reached out to my nephew who has ties to the music industry for help with Foo Fighters founder Dave Grohl. Turns out I could get to Grohl all by myself with a chance encounter at a local restaurant, providing the photo op below. Much as the hubby is a fan of the band, his heart belongs to Paul Simon … and he was certainly out of the question. Hey, this favor wouldn’t have been for naught — I was willing to provide a car/driver and make a donation to the charity of the guest’s choice. Finally I even pestered the wife of Hall of Famer Frank Robinson at our mutual nail salon … but the true Robinson “get” would be Brooks and that was certainly never going to happen. Lo and behold, I found out about something called “Dodgers All Access,” a special event at Dodger Stadium benefiting both the Los Angeles Sports and Entertainment Commission and the Dodger Foundation. Best of all, the event was taking place the day after our actual anniversary (Aug 31) so the timing was excellent. Tommy and his wife Jo are just a few years ahead of us … married for 67 years! for somehow procuring this amazing gift! 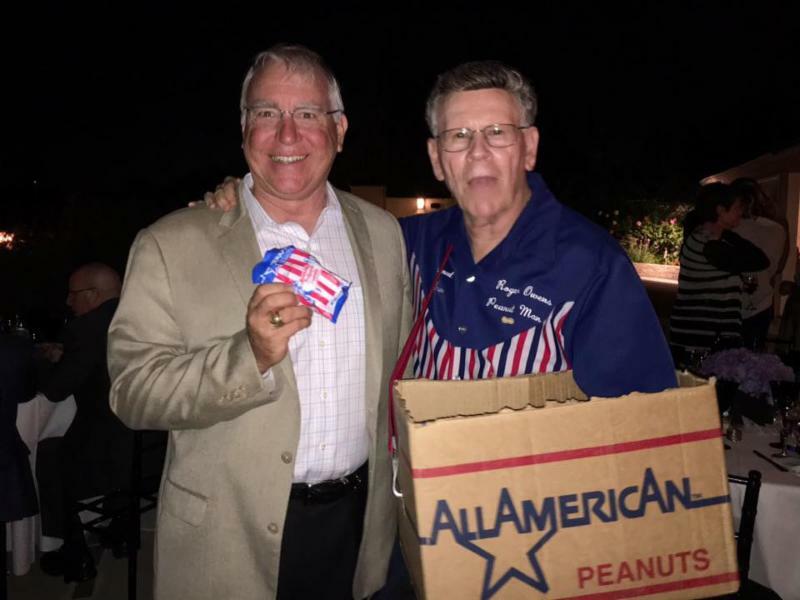 That is the one and only “peanut man” Roger Owens who the hubby managed to get to our party (shown here with guest Chris Glaser). Roger has been a legendary figure at Dodger Stadium for 50 years! Are you thinking about going somewhere but are stuck getting started? Do you need some ideas and/or expertise in planning your next adventure? 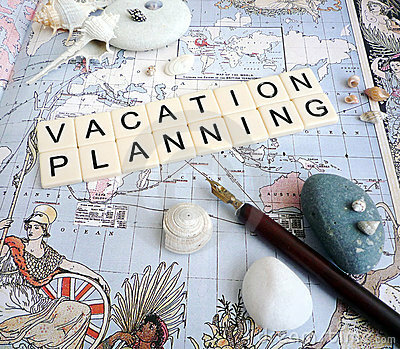 Instead of spending your valuable time, send me an email (travelwithterib@gmail.com) — and let me help you with all your travel needs! Baseball is back! Yes, I know the season started a week ago, but the Boys in Blue had away games until yesterday. 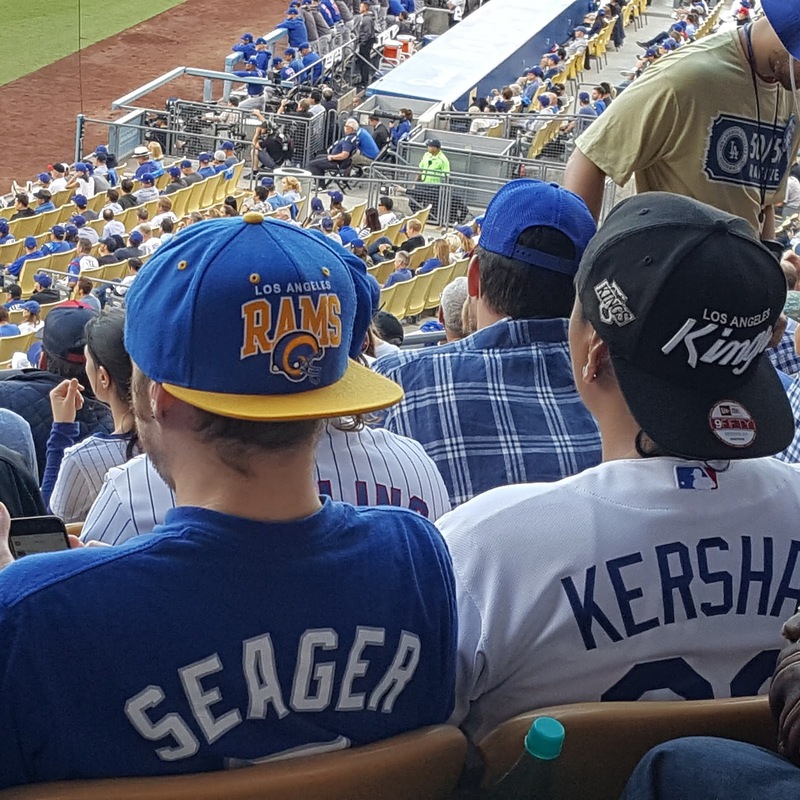 I haven’t missed an Opening Day at Dodger Stadium for years and years. Remarkable? 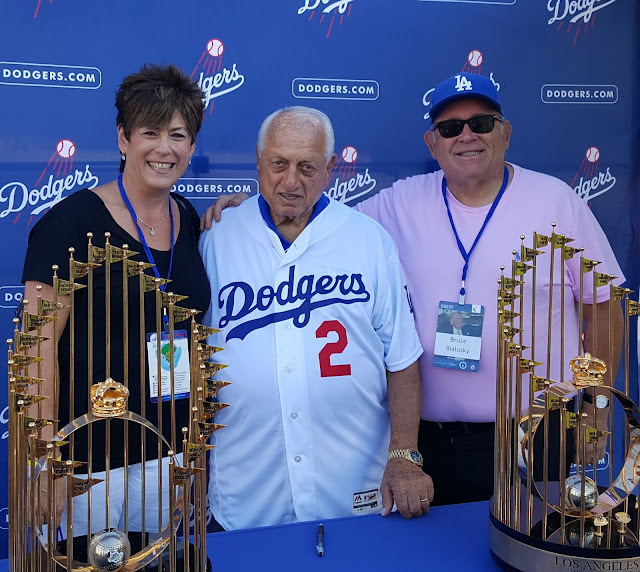 Only if you consider I paid ZERO attention to the sport until I met the hubby .. in fact, when he “informed” me baseball would be a big part of our life together, my response was likely “ugh” or “seriously? ?” I am a true convert; in fact, I watch games even when he is not around. I have been to a total of 35 MLB stadiums (counting both old and new parks) — PLUS attended games in both Tokyo and Seoul! How is that for a seriously converted fan??? What’s that you say??? Boring … zzzzzzzz. 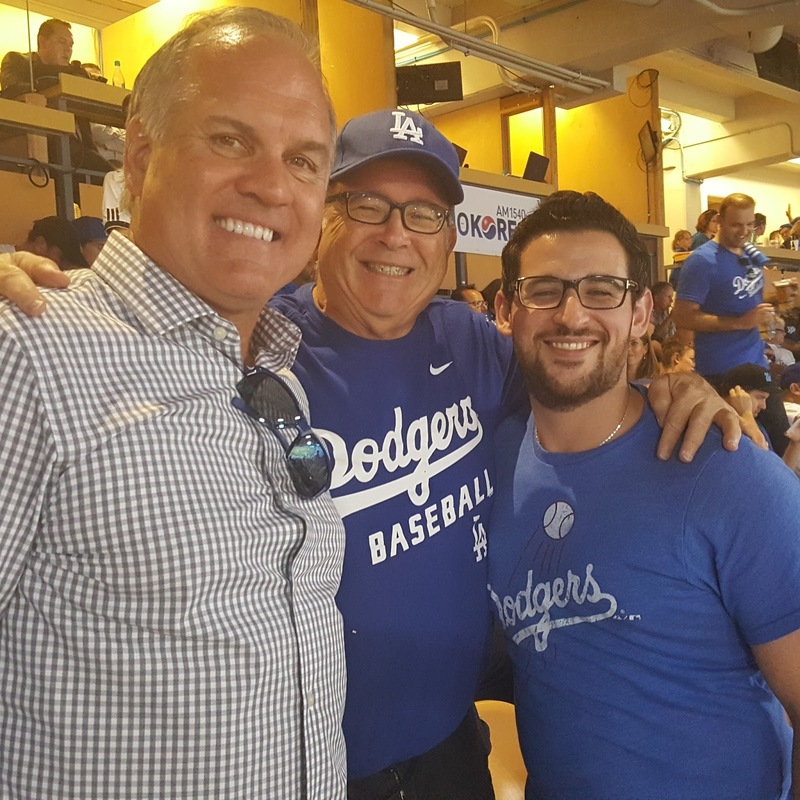 I will let you in on my secret to sitting through about 18 Dodger games each year, plus whatever post season there might be (hey, anything’s possible!). Ready? Bring reading. That is my saving grace. I can watch the game but still get a lot done between innings or pitching changes. Unless we are entertaining guests and that might be construed as rudeness, I show up with books, magazines, sometimes a tablet plus my cell phone (with back-up battery). 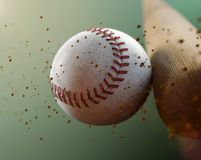 Even if I am immersed in something, the minute I hear the crack of the bat I can instantly look up and not miss anything. It is a beautiful system. My other secret weapon is having EDIBLE food at the game, which usually requires bringing my own. 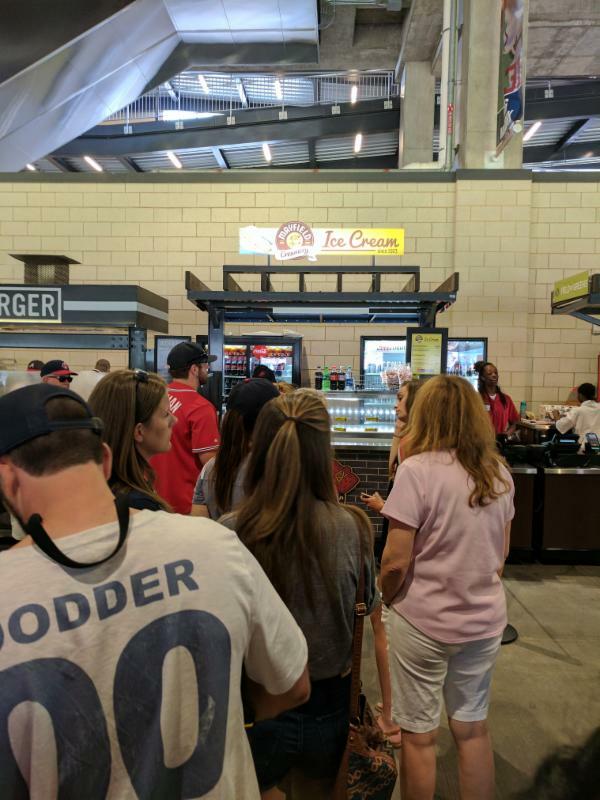 The Dodger organization is pretty good, but the hot dogs just stink — even though they outsell every other MLB park. Ugh. At least last season, we got Jeff’s Gourmet Sausage way out in right field. 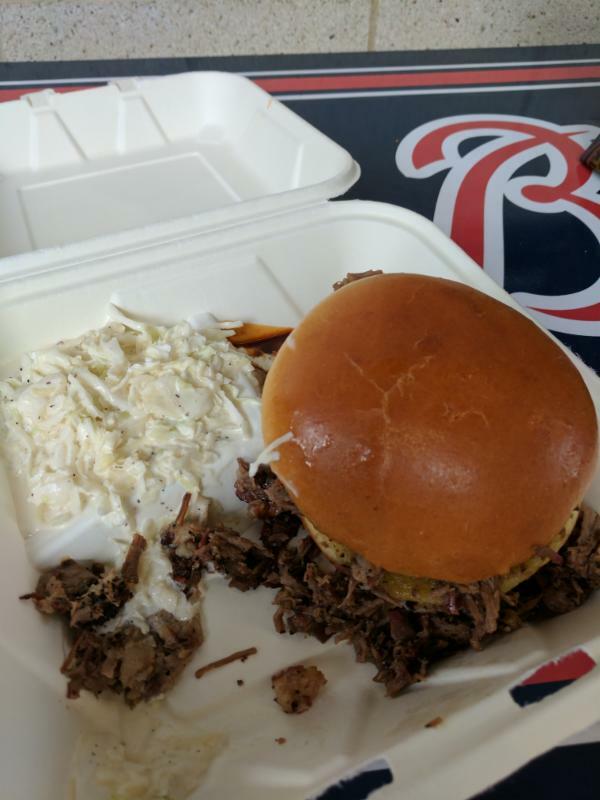 Hot, snappy, fresh grilled and Kosher (which means a lot to many at the park), plus downright delicious. But you could easily miss a full inning making the trip there and back. 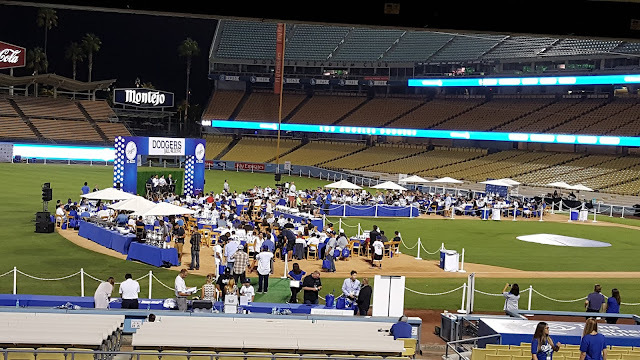 I just find somewhere to sit by a monitor and enjoy my dog before heading back to my seat..
For this year’s home opener, the Dodgers began what will most certainly be their year-long tribute to the great Vin Scully who retires at the end of the season. 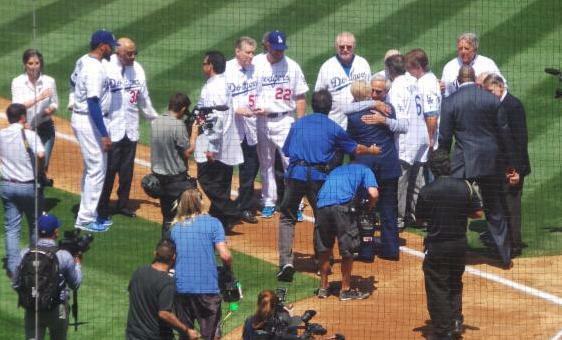 Instead of the traditional first pitch, the pre-game festivities announced Dodger royalty who proceeded to the plate, including Fernando Valenzuela, Orel Hersheiser, Don Newcombe, Hank Aaron (Vinny called his record-setting home run), the inimitable Sandy Koufax along with the current-day Sandy, aka Clayton Kershaw, Maury Wills, Tommy Lasorda, and, of course, Vinny. 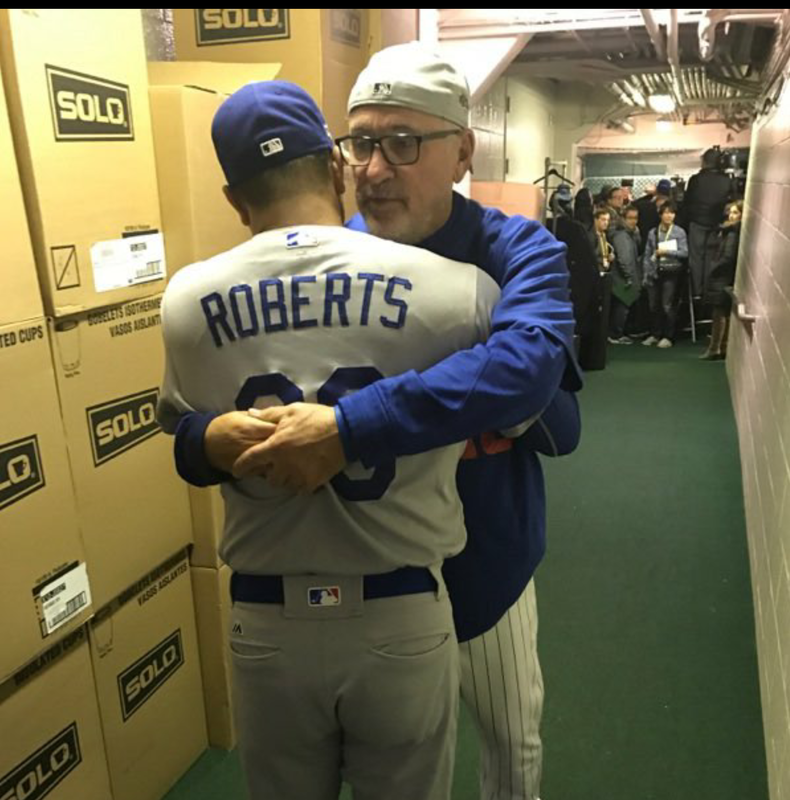 Sandy and Vinny hugging in the photo below is an image for the ages. A memorable day, save for the final score … but it’s a very long season. 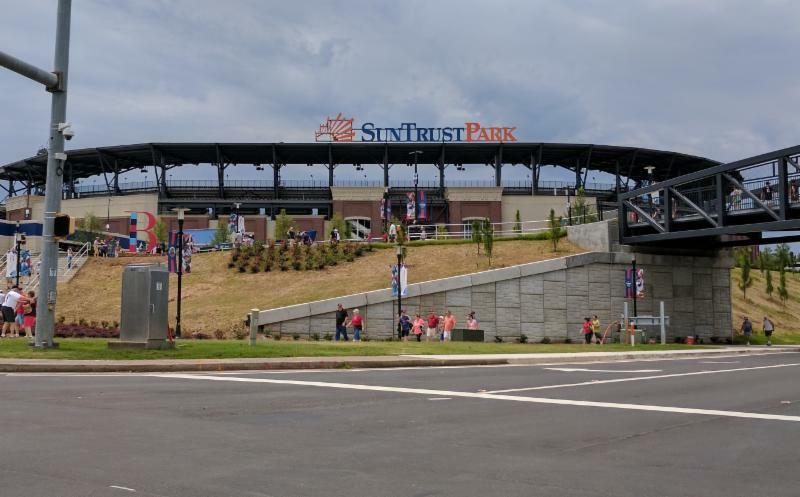 I‘ve written before about not traveling during the summer when everything is crowded, with prices higher and the hot weather, but seeing various stadiums would require setting those challenges aside. 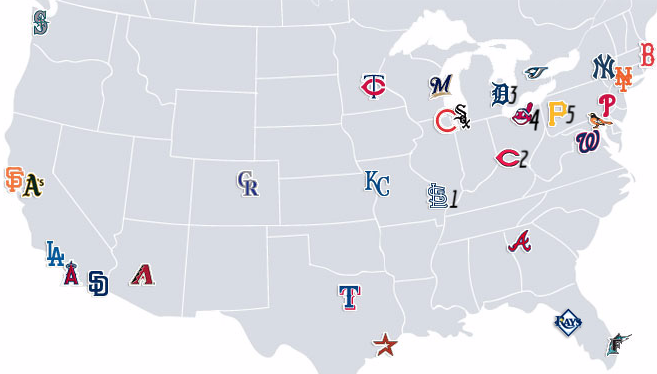 A few of the stadiums I’ve yet to see: St. Louis, Detroit, Cleveland, the new Cincinnati and Pittsburgh could all be done on a strategic driving trip. Also synonymous with April? 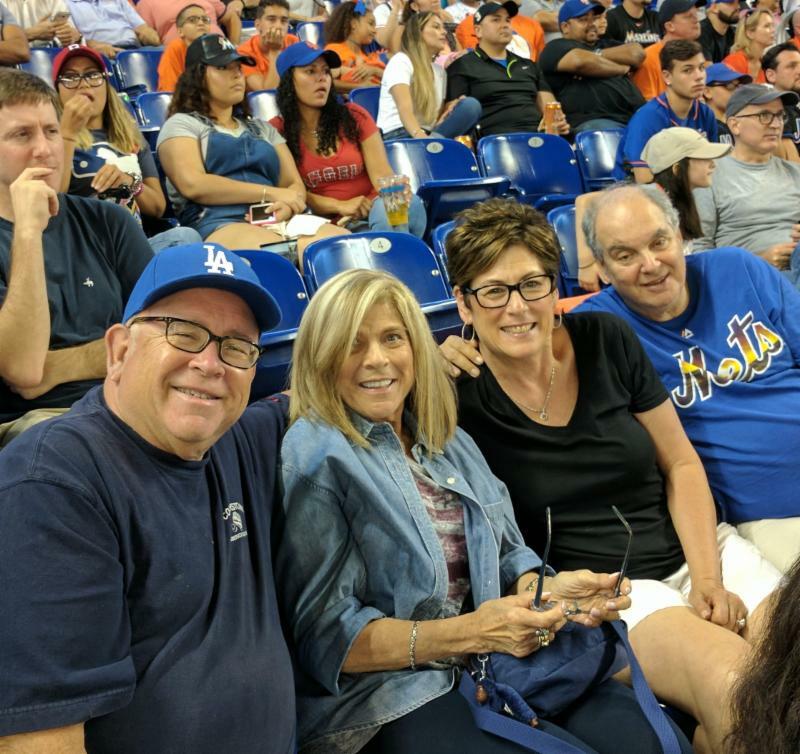 The Final Four, Easter and Passover (usually), the end of tax season, a big trip somewhere, spring flowers, and baseball … what a great time of year all around!